Is The Herbalizer The Best Desktop Vaporizer? Thinking about investing in a desktop herb vaporizer? Vaporizer technology is more advanced than ever. Here’s how the top two contenders stack up. Vaporizer technology is more advanced than ever. But, who has the best desktop vaporizer these days? Two contenders are leading the show. In corner one is the Herbalizer, a newer machine designed for both vapor and aroma therapies. In corner two is an old classic, the Volcano. Here’s how the two canna-tech devices stack up and where to find them for a great price. The Herbalizer is a luxury desktop vaporizer with a wealth of dazzling features. This vape is the most direct competition for the Volcano, one of the most famous deluxe tabletop vaporizers around. Both herb vaporizers sell at similar price points and both offer fun bag options for inhalation. Bag options are basically a giant plastic bag that fills with hot vapor, allowing you to take puffs at your leisure. 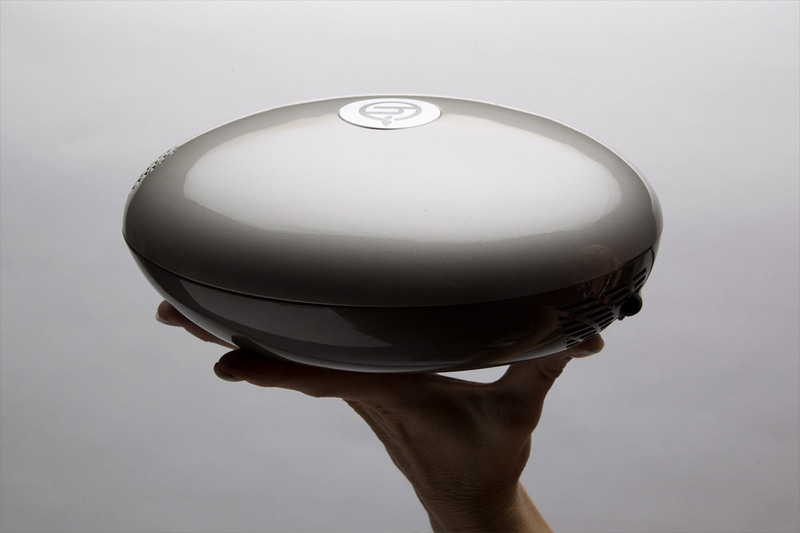 While the Volcano is bag-only, the Herbalizer offers consumers a few different smoking experiences. Not only does this desktop herb vaporizer offer consumers a bag, but it comes with silicone tubing and offers forced air and aromatherapy options as well, making this an extremely versatile unit. The heating element in this vaporizer is a halogen bulb, which can heat products up to 445°F (229°C) without combustion, creating a true vapor. Consumers will get a visible vapor from this machine when it is set as low as 317°F (158°C). Consumers can also choose between “uplifting”, “balanced”, and “intense” temperature ranges. The higher the temperature, the more long-lasting the effects and the greater the euphoric quality. The Herbalizer is also managed by an internal computer system that will remember your last temperature settings each time you turn on the piece. To learn more about the Herbalizer, read the full review on Namaste Vapes. The Volcano has long been the reigning champion in terms of vaporizers. In fact, this vaporizer is often considered one of the best machines in the world. Reliable, high-performing, and simple to use, the Volcano is one of the best-designed machines on the market. Ground cannabis material is placed in a chamber with a fairly large surface area, meaning that it is heated consistently. Consistent heating makes for a high-quality and tasty vapor. Temperature is easy to adjust on the Volcano. Consumers can simply turn up a dial and wait for the machine to heat for the Volcano Classic, or push a few buttons with the Volcano Digital. Though the Volcano has long been one of the industry’s favorite machines, it relies on polyethylene balloon bags with a valve as the primary delivery method. Once filled, the balloon can store THC-laden vapor for up to eight full hours. While these balloons are certainly fun and great for using in a group, sometimes it’s nice to have options. Bags also need to be replaced after every 50 to 100 sessions. If you use cannabis regularly, this can be a bit of a hassle. However, the machine itself is particularly durable. Once you purchase a Volcano, you can count on having it for years and years to come. To learn more about the Volcano vaporizer, read the full review on Namaste Vapes. Which one is the best desktop vaporizer? The Herbalizer typically sells for around $600. The Volcano Classic sells for close to $500. The Volcano Digital runs for about $600 as well. Regardless which piece you prefer, you can get a great deal on either machine on Namaste Vapes. To order yours at a discounted price, simply visit NamasteVaporizers.com.